"I just saw things were not working and every single time I went in and talked to West Company, they would have a plan and it would be good again. I owe a lot to West Company." What enables an entrepreneur with limited resources to transform a simple idea into a substantial success? Jim Smith was born and raised in Fort Bragg, CA. A local boy graduated from Fort Bragg HS. He went to work driving a delivery truck right after graduation. For 15 years he work as an employee. He never held a supervisory position, led teams in training modules, held a staff meeting or reviewed the company’s financials. He collected a modest paycheck and tried as best he could to support his family. 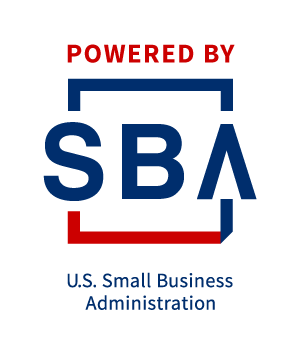 Jim Smith, is now the owner of FBA Inspection, a Fort Bragg based shipping and quality control partner for Amazon retailers. He never expected that a favor for a friend would turn into a successful and growing business venture housed in a 7,000-square foot warehouse, employing twenty-four people, all in less than a year. “My expectation at the time was that it was going to provide a means for me and my son to spend some time together, earn a little extra money, and help a few people out. We never expected it to take off and get bigger,” said Smith, a longtime local of Fort Bragg. Smith was working as a truck driver and internet marketer in March 2013, when a friend in Australia, approached him with a dilemma. His friend wanted to send merchandise to Amazon without paying the high shipping costs to ship the product from the manufacturer to him in Australia to inspect before shipping it to Amazon. If he shipped directly to Amazon, he would risk it showing up damaged and failing quality control. So, he asked Smith to receive the product, inspect it himself and then send it to Amazon, ensuring that his product met compliance standards while saving on costly shipping rates. “His first shipment of marking pens had over 25 percent damage. The cases were brittle and broke, pens leaked and some exploded, spreading ink all over the place. So, I worked directly with him and his supplier to send additional packaging, and markers and I eventually got everything back in perfectly pristine condition, and then we shipped them off to Amazon for them,” said Smith. If Amazon had received the damaged shipment, they could have possibly blocked his account or worse – they would not have allowed the products to be shipped out to the customers. Meaning after costly shipping rates, his business would be dead in the water before it started. “We give our customers reassurance – it is almost like a little insurance policy. Once it gets to Amazon, if there is any hiccups or any problems, then it is too late. Amazon is going to ding your account, possibly suspend it, or worse yet, just reject your shipment. Once it gets here we can check it out and if there are any issues we can resolve them here,” explained Smith. 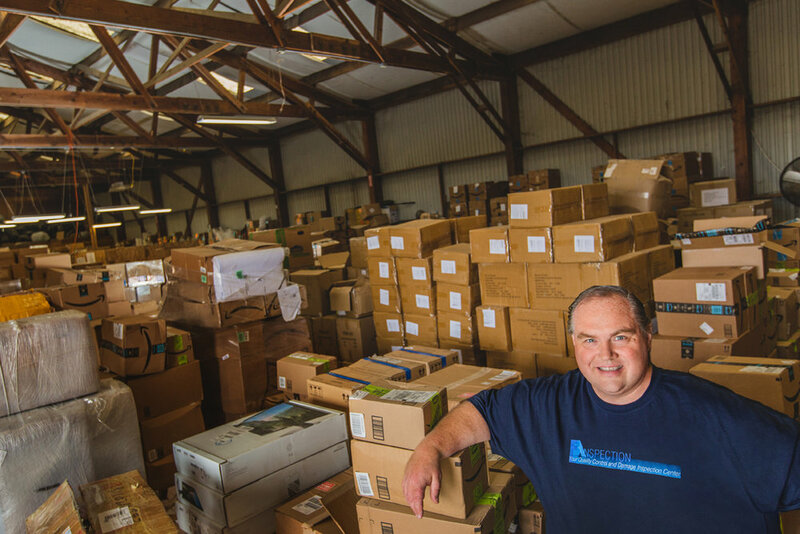 After developing a bit of a reputation for quality control and shipping amongst online forums for Amazon retailers, Smith decided to start FBA Inspection in March of 2013, and his business expanded rapidly over the next year. “We started out in our garage and then we moved it downtown into a little space and then we moved it into a commercial storage unit, but every day we were taking palettes outside. It was just impossible. We could not stay there. We had to find a bigger place,” said Smith. Around this time, Smith reached out to West Company, a local nonprofit that supports small businesses, to help meet the demand. West Company helped Smith adjusted his prices, so he could make enough of a profit to hire more employees to tackle the growing workload. West Company also supported FBA Inspections during the hiring process by instructing him on how to create an employee handbook, and set up an accounting system in Quickbooks. “There were many times where I felt like giving up and I couldn’t see the vision because I didn’t have the answers. I just saw things were not working and every single time I went in and talked to West Company, they would have a plan and it would be good again. I owe a lot to West Company,” said Smith. Smith is currently working on making his business more competitive, as more prep centers have started in recent years, particularly in Los Angeles, which has cheaper shipping rates as a major port. In order to stay competitive, FBA Inspections is working to revamp their website to attract more users, and is investing in backend software that will make the customer experience more convenient, by allowing them to create work orders, see invoices, and track shipments. “The purpose of this is to create a better customer experience. It will improve customer usability and install trust,” explained Smith. For Smith, establishing trust with his clients has been critical to the success of his business, which is why he has invested time improving his customer’s experience. “We are professional and we understand urgency. One thing about our customers that we do understand is that they don’t want their products sitting in a warehouse. If it is sitting here they are losing money, so I go out of my way to make sure things are checked in a timely manner and put on a processing log. If that processing log gets too long we will hire people, we will come in on a Saturday, we will do whatever it takes to get it processed in a timely manner,” said Smith. For more information on FBA Inspections visit their website at fbainspection.com or contact them at 707-961-0343.